Shipping $6.84 Add item to cart for shipping estimate. You can SAVE on shipping by buying multiple items from the same seller. Shipping is charged by each individual seller. Sellers at times may also provide FREE SHIPPING on select items or on entire order if it meets the minimum order value. Please check sellers page for more details. Shipping Cost $6.84 Buy multiple items online from Indian Root to SAVE on shipping. 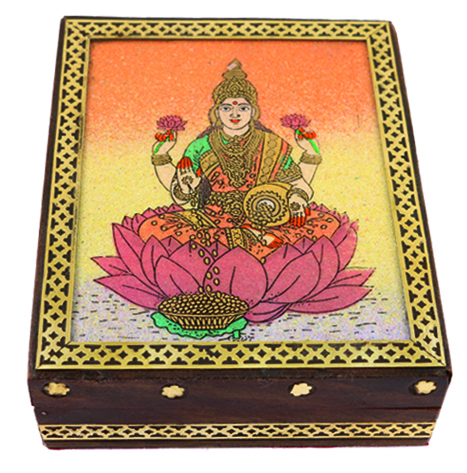 Buy Ancient Design Handcrafted Wooden Box for Gifting Decor (SET OF 2) 5"X4", sold & shipped by Indian Root where you can shop online for Exclusive Collection of Ethnic Indian Gift & Home Decor Item.